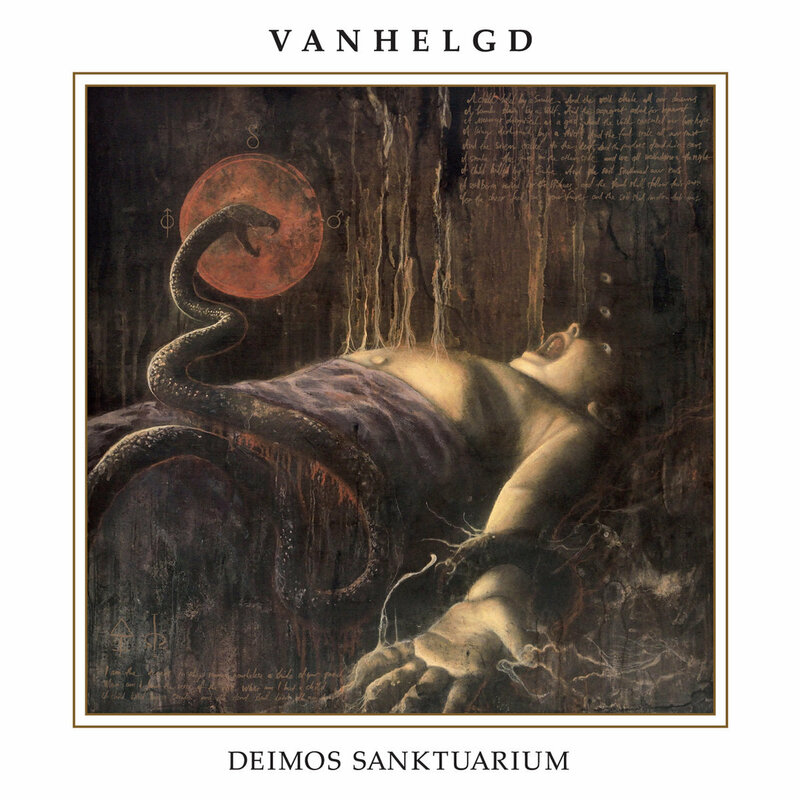 The significance of true Swedish Dark Metal now lies in torchbearers VANHELGD on their fifth full-length record “Deimos Sanktuarium”. With the band’s unwavering style of obscurum Death / Doom heavily drenched in riffs of dejection, Mattias Frisk & co. are determined to clobber out some of the most heaviest yet forlorn extreme music in the recent years. “Deimos Sanktuarium” is a vibrant work of contempt and apathy molded in an enraptured state of beautiful grief. Featuring Year Of The Goat frontman Thomas Sabbathi arranging and performing unearthly choirs on ‘Silent Observer’. Recorded at Studio Underjord with Joona Hassinen (Year Of The Goat, Saturnalia Temple, Ocean Chief, etc) and mixing and mastering duties by Tore Stjerna at Necromorbus Studio (Watain, Repugnant, Desultory, etc.) and VANHELGD frontman Mattias Frisk (Ghost, Entrapment, Vampire, etc.) once again handling the odiously haunting artwork on “Deimos Sanktuarium”.